"THE BUTTON" part two! The cataclysmic events of DC UNIVERSE: REBIRTH #1 continue here! 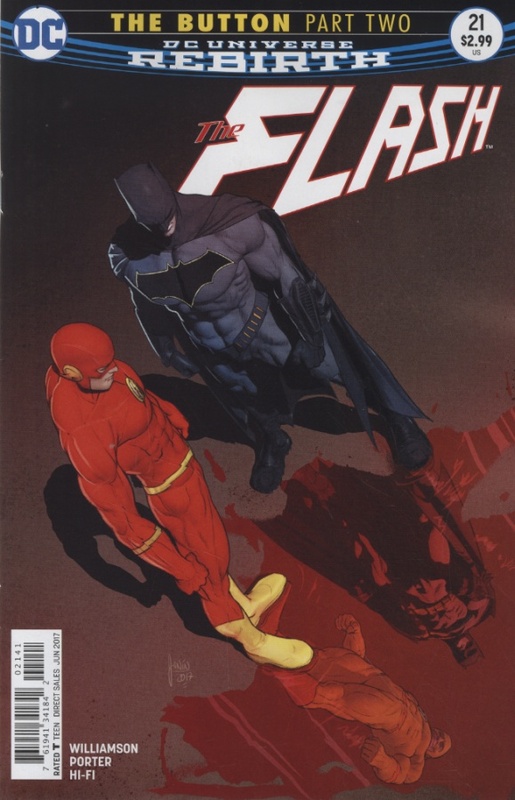 The Dark Knight and The Fastest Man Alive, the two greatest detectives on any world, unite to explore the mystery behind a certain blood-stained smiley button embedded in the Batcave wall. What starts as a simple investigation turns deadly when the secrets of the button prove irresistible to an unwelcome third party-and it's not who anyone suspects! It's a mystery woven through time, and the ticking clock starts here!